Starfleet's most sacred commandment has been violated. Its most honored captain is in disgrace, its most celebrated starship in pieces, and the crew of that ship scattered among the thousand worlds of the Federation... 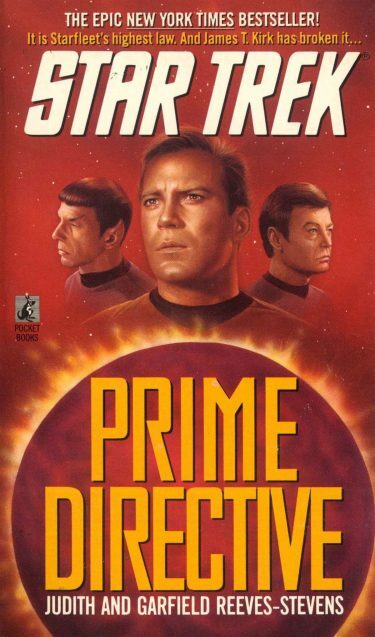 Thus begins Prime Directive, an epic tale of the Star Trek® universe. 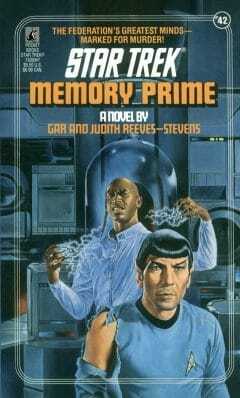 Following in the bestselling tradition of Spock's World and The Lost Years, Judith and Garfield Reeves-Stevens have crafted a thrilling tale of mystery and wonder, a novel that takes the Star Trek characters from the depths of despair into an electrifying new adventure that spans the galaxy. Journey with Spock, McCoy, and the rest of the former crew of theStarship Enterprise TM to Talin -- the planet where their careers ended. A world once teeming with life that now lies ruined, its cities turned to ashes, its surface devastated by a radioactive firestorm -- because of their actions. There, they must find out how -- and why -- this tragedy occurred and discover what has become of their captain. Other Books in Series "Worlds in Collision"